This is an exciting week for interpreted performances. There are three shows and their storylines are diverse: A musical about Fats Waller, a whimsical & gender-bending epic tale, and a World Premiere of a staged adaptation of a classic Japanese Comic. They are all on different days and times so you can pick one, pick two, or pick all three! It is a fabulous week for theatre. Tickets $30 with promo code SIGN. "Winner of the Tony Award for Best Musical, this sassy, sultry revue celebrates the remarkable life and talents of a legendary jazz great, Fats Waller. 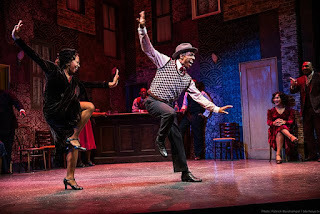 Director Chris Coleman has created “a bright and shining new production … he has knocked out the walls and opened the show to the streets, bringing in the heady Uptown of the Harlem Renaissance and the bleaker days of the Depression Thirties to give the songs a deeper visual and impressionistic context." 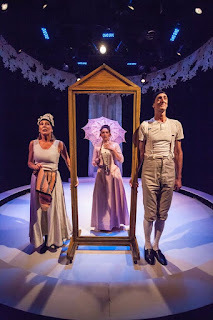 "Orlando, a young Englishman, sets out to encounter love and adventures with queens and kings, princesses and archdukes, historic poets and fictional sea captains. Riding waves that transcend time and space, Orlando transforms again and again. This epic tale of discovery, based on Virginia Woolf’s novel, crashes through the ages as a whimsical, gender-bending fantasy." "Set in rural 16th century Japan, where danger lurks everywhere and feudal lords fight for power, Usagi Miyomoto, is a hero worshiping rabbit who yearns to become a Samurai. To do so, Usagi must leave his mother and abandon his friends while studying the ways of the samurai with an eccentric and frustrating sensei, the master swordsman Katsuichi, an aging lion. But once he receives his training, he must struggle against an old friend in a winner-take-all samurai tournament. And upon his return to his home village, he must to confront a gang of bandits, and their leader, a gigantic bear at the grave of his father. Will Usagi prevail? 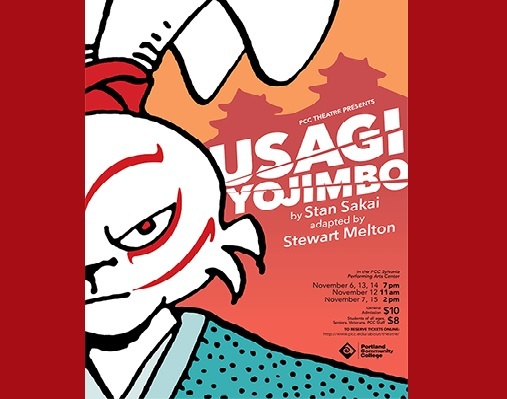 Come and find out, in this play adapted from Stan Sakai's beloved comic book!"